It's officially summer, I'm all moved in and I'm already checking things off my summer to-do list. Within minutes of finishing unpacking I instantly started thinking about what I wanted to bake. Now that I live somewhere with an accessible kitchen, you can expect an abundance of food posts coming up. To kick off my summer to-do list I stuck with my goal of baking or cooking recipes I pin. 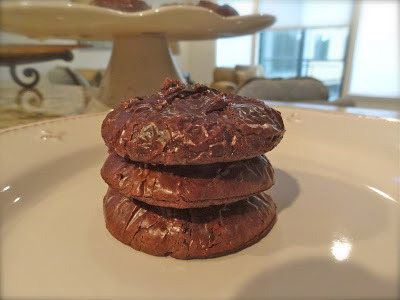 First up, flourless fudge cookies. These could not be easier or more decadant. They were mixed, in the oven, then in my mouth all within 20 minutes. 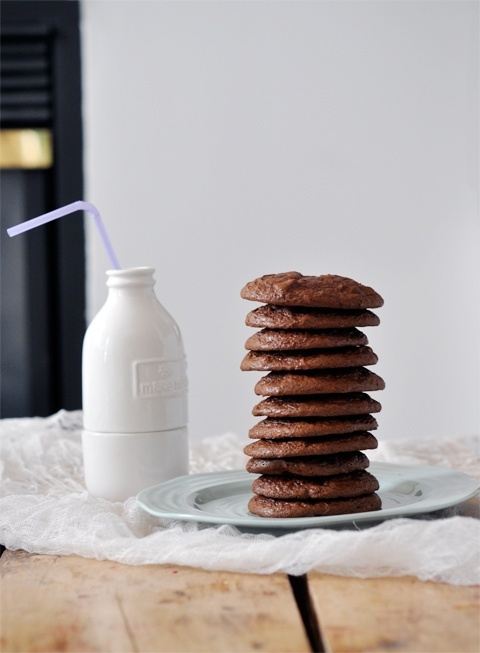 I first saw these cookies on a favorite new blog of mine, Lark & Linen. Jacquelyn got the recipe here. I find it a little ironic that the recipe came from King Arthur's (a brand of flour) website, but nonetheless, these cookies are delicious. The only adaption I made to the recipe was when it called for espresso powder. I didn't have any on hand so I just swapped it for a heaping teaspoon of ground coffee. Again, like my girl Ina always says, coffee really enhances the chocolate flavor. You don't want to leave this ingredient out! 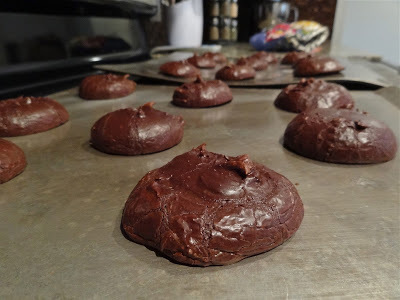 These will no doubt curve any chocolate craving you have, but be ready to have a glass of cold milk to wash them down with!